gorgeous! Thank you sooooooo much! De rien, babette. Merci de votre visite! Thank you very much for a wonderful freebie. There will be a part two using the remaining colours in this swatch, too 🙂 so come back soon, margie. Thank you for this very beautiful kit! I appreciate your generosity. Glad you like it, Barbara! You never cease to amaze me. Most designers have the same look, just different elements or colors. You, however, keep your style without the same ol’ same ol’ . You ROCK. Thanks for being such a great designer and most of all of sharing your talent. What heart-warming words. You don’t know how much you have encouraged me to continue. Thanks, Kaaren! Hi Moni, well I’m flabbergasted! I published the post but didn’t have time to do my usual “advertising” or adding of it to DSO, thinking no-one would really notice until I did! I’m delighted someone used my kit in one of their pages – am off to have a look now…I’ll add it to the CC pages too. Thanks a million for a super Challenge. Thank you for creating this kit and most of all, thank you for sharing it with us! The colors for this month were nice on their own but together, they made up a very nice palette! Well done! I appreciate your generosity! Hi Patti, I actually found them a real challenge in the beginning but finally came up with something in my style. Hi dear friend! I hope everything is ok with you and that you’re enjoying spring 😀 Your kit is really beautiful and very spring-y 🙂 And you are so generous with your work. Many hugs!! Hi Limar! Spring-y. I like that! Love the colour. Thanks so much. 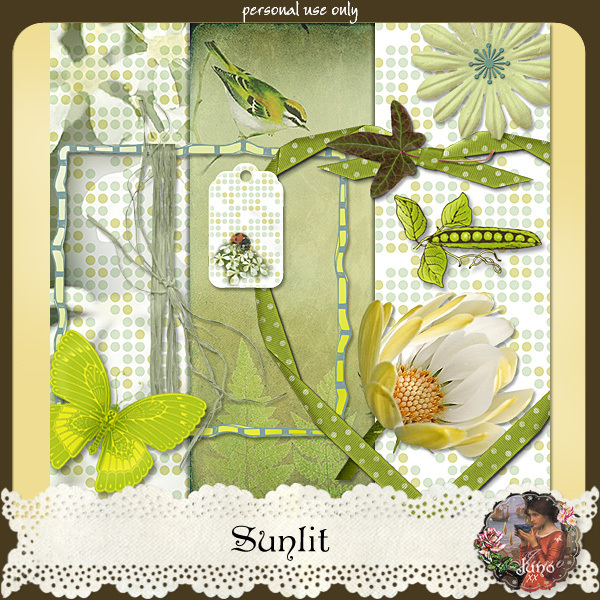 Love the flower and the tag, very pretty kit, thanks. I don’t understand how you can go on with such amazing kits! always new things, fantastick papers and elements. Thank you so very much for keeping them coming *SS*. Thank you for your sweet comment, Kirsten. Hi dawn! I didn’t immediately like the swatch, I have to be honest. It took quite a bit of wrestling for me to come up with anything! And then in the end I had enough material for two kits. Heigh Ho! Hi Deborah, sorry about the delay in approving/replying to your commment. For some reason you went straight into my spam folder! Thanks for your visit and for your comment. Hi Maggy. Thanks for visiting. Heya, Cindyrelly. You’re welcome! Thanks for popping by.